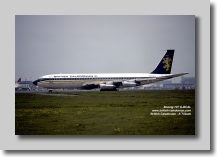 If you would like a particular aircraft featured, please drop me a line. 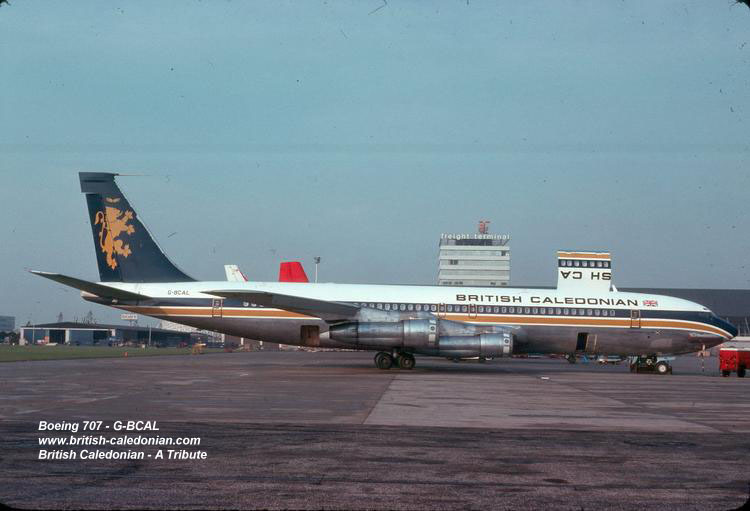 Below a gallery of photos with G-BCAL in service, plying her trade in passenger and cargo roles. 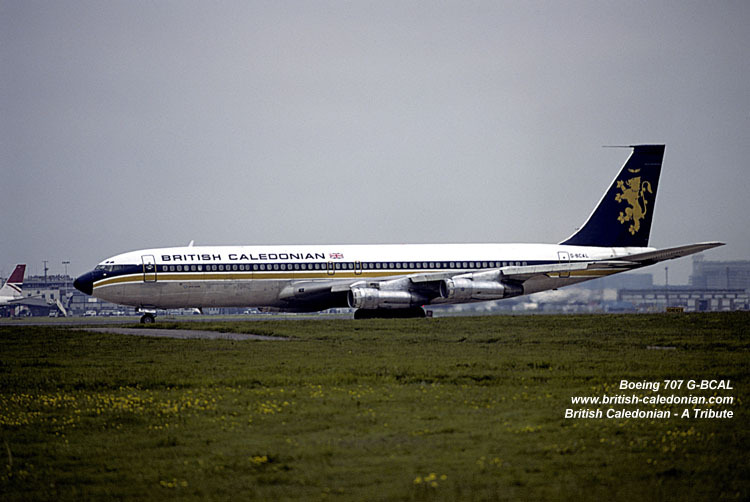 As with many BCal 707's she was a versatile convertible passenger / freighter variant. 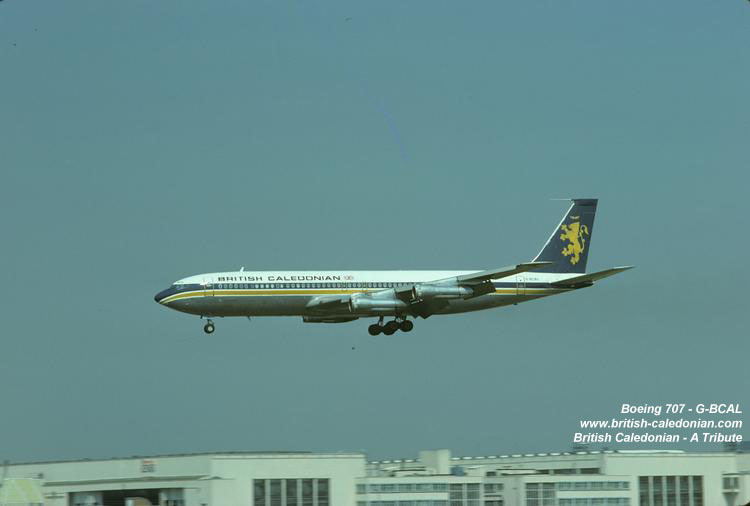 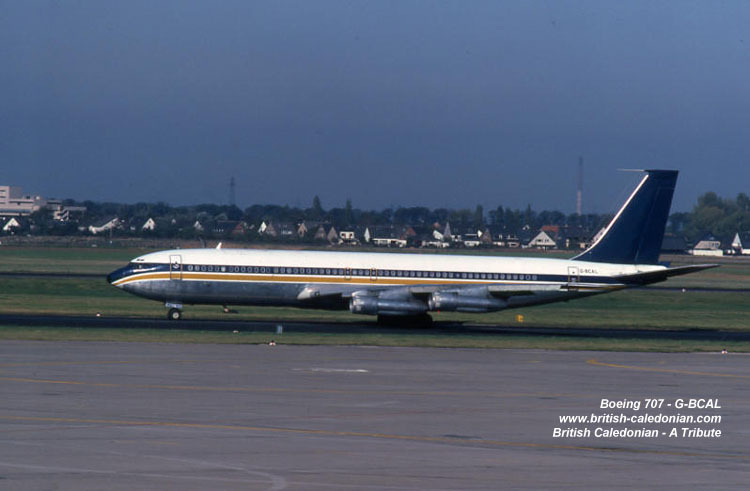 During her time with BCal, G-BCAL had a short period where she was leased to Sudan Airways between August and September 1977. 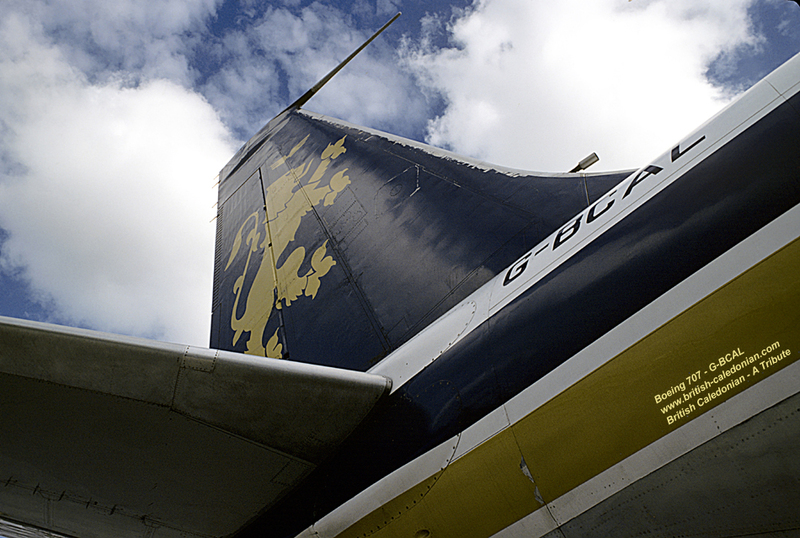 By now she had been renamed Loch Invar. 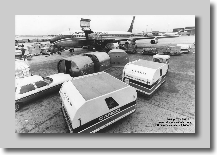 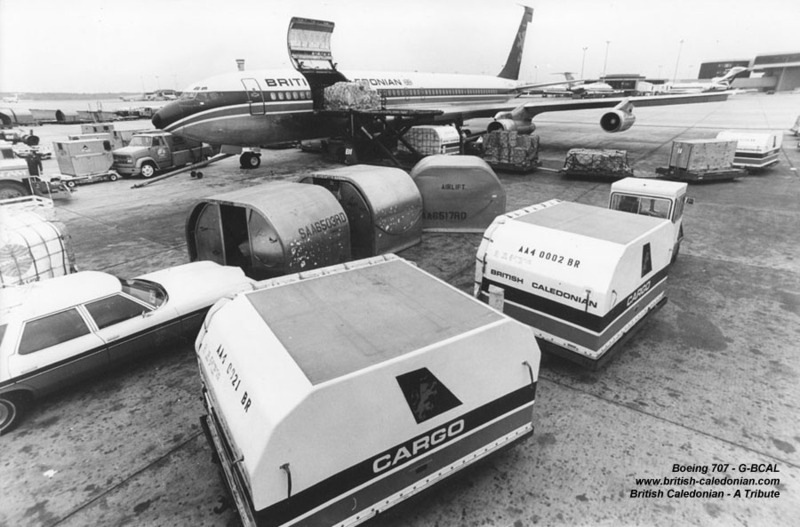 But by 1979 BCal's DC10 fleet was coming on line some 707's were released to the market. 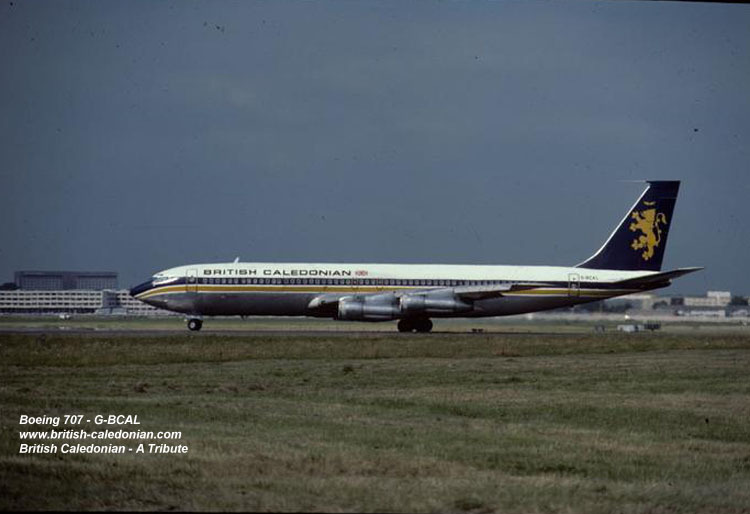 G-BCAL was withdrawn from service in September 1979 and had her titles removed. 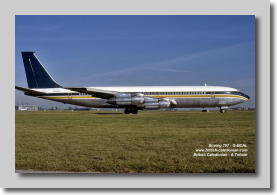 She was sold in December 1979 to Skyways Air International (Panama). 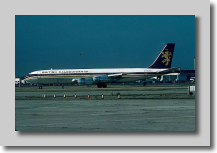 She was immediately leased by Skyways toTAR, Transportes Aereo Rioplatense and registered as LV-MZE. 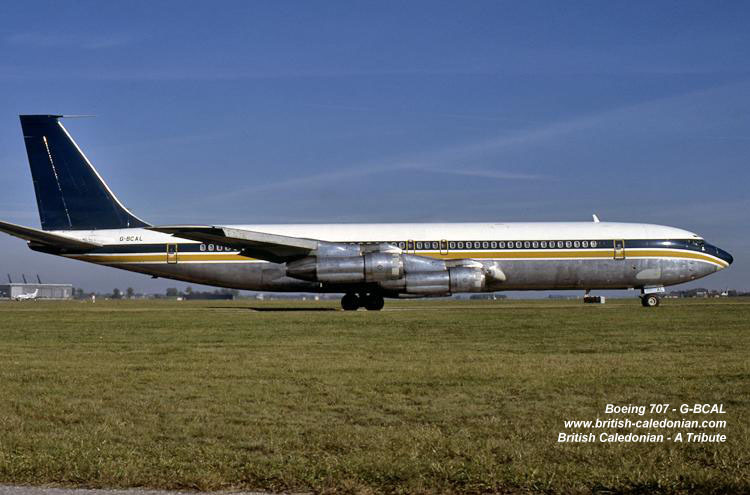 Our Boeing 707 rolled out of the factory in Renton on 12th October 1967, and flew into Sydney on 26th October at the end of her delivery flight. 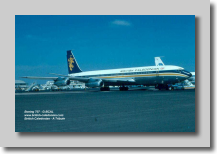 She was named Port Moresby. 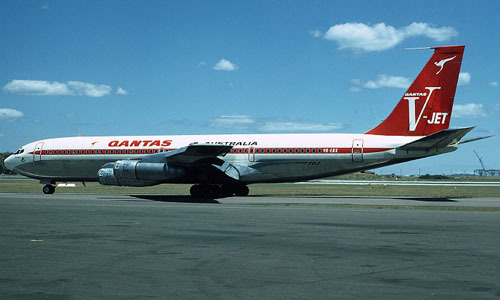 As VH-EBX she entered commercial service with Qantas on 10th November 1967 operating from Sydney to Tokyo. 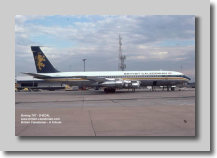 She was renamed City of Parramatta after Papua New Guinea gained independence - October 1974 and operated her final Qantas service Sydney-Christchurch-Sydney on April 22 / 23, 1975 - having flown a total of 26,179 hours over 10,877 cycles. 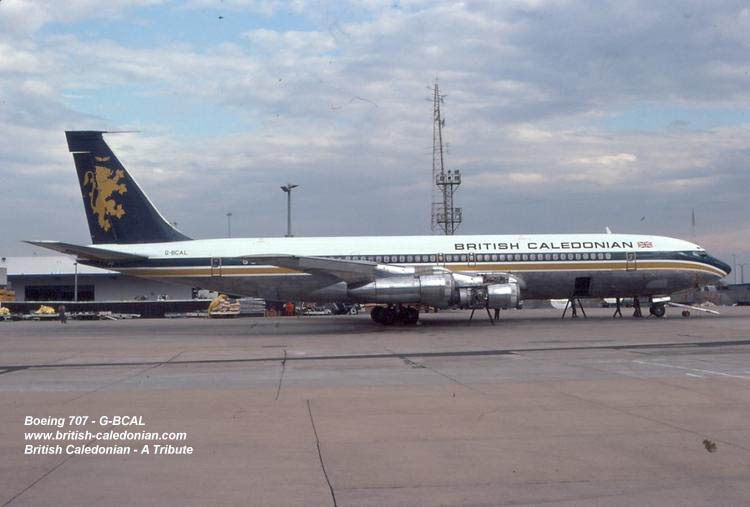 She entered onto the U.K. Aircraft Register as G-BCAL on May 13th 1975 and departed Sydney on delivery to BCal at Gatwick two days later on May 15th. 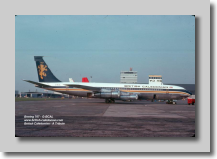 She was initially named County of Renfrew. 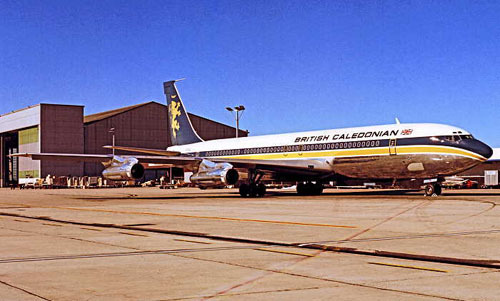 To the left we see G-BCAL at Sydney airport awaiting delivery. 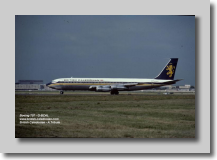 But eventually she was repainted into TAR livery and given their fleet name San Jorge. 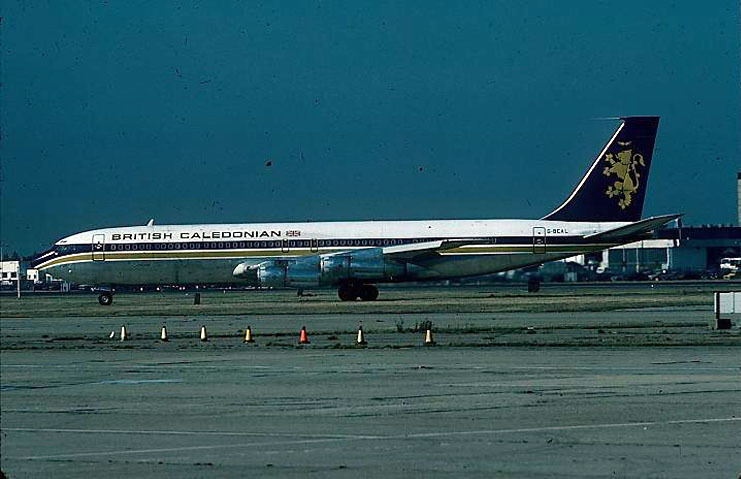 She flew on until December 1990 before being withdrawn from use when TAR ceased operations. 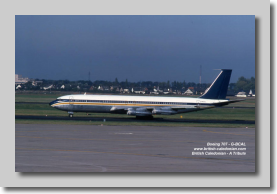 In October 1994 she was broken up at Miami International Airport have been parted out. 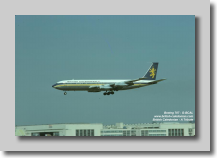 But as always on these feature pages, we cannot not end on a photo like that. 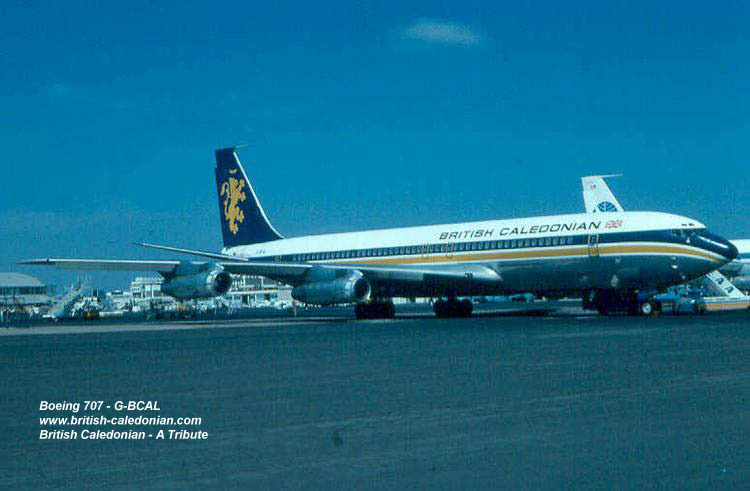 Below is a super photo (from Jon Hillier) that shows G-BCAL Flagship Bonnie Scotland wearing her Lion Rampant proudly.